WE ATE OUT LAST NIGHT. 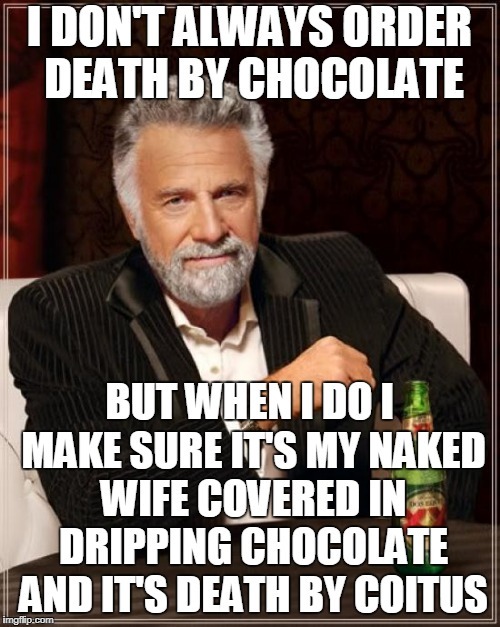 MY WIFE ORDERED DEATH BY CHOCOLATE FOR DESSERT. 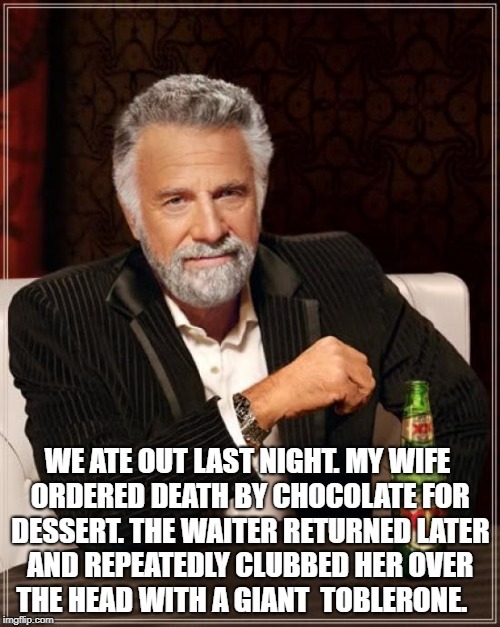 THE WAITER RETURNED LATER AND REPEATEDLY CLUBBED HER OVER THE HEAD WITH A GIANT TOBLERONE.